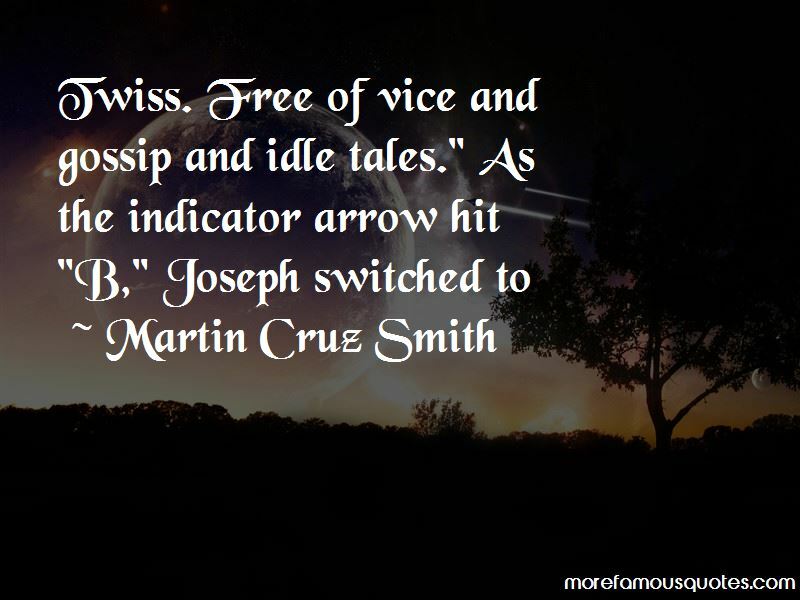 Enjoy the top 42 famous quotes, sayings and quotations by Martin Cruz Smith. He never had been good at arguing with women; they tapped into pools of resentment over slights that had steeped for years. Well, the Romanies have been around for five thousand years, longer than any nation. And why? 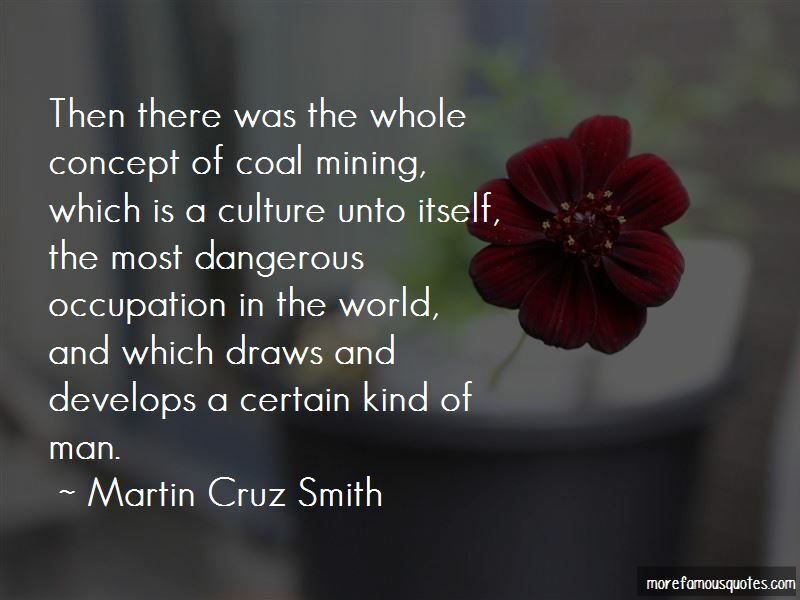 Because we know how to survive. The Aryans tried to kill us, the Persians, the Tatars, the Magyars, the Africans, the Germans, everybody. But we stay together, and we move on, and we keep one thing in mind, to survive, and that is our greatest secret. She [Kali] does according to her wisdom in destroying what is useless or what has lived its destined time. There are not many road signs in Russia, you know. He laughed. If you don't know where the road goes, you shouldn't be on it. The chief investigator for Special Cases was a composite of the most ordinary features, a stencil of a man. Exactly, thats what you call a guy who tells you the truth. I'm very aware when I'm speaking to the English of how flat my Mid-Atlantic American voice is. It was like passing the scene of a highway accident and being relieved to learn that nobody had been seriously injured. I used to be treated like an idiot, now I'm treated like an idiot savant. 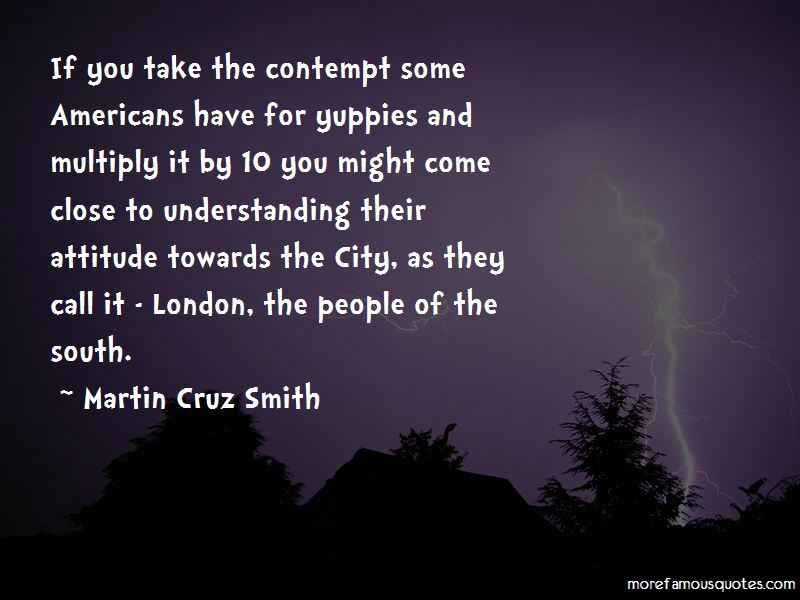 Want to see more pictures of Martin Cruz Smith quotes? 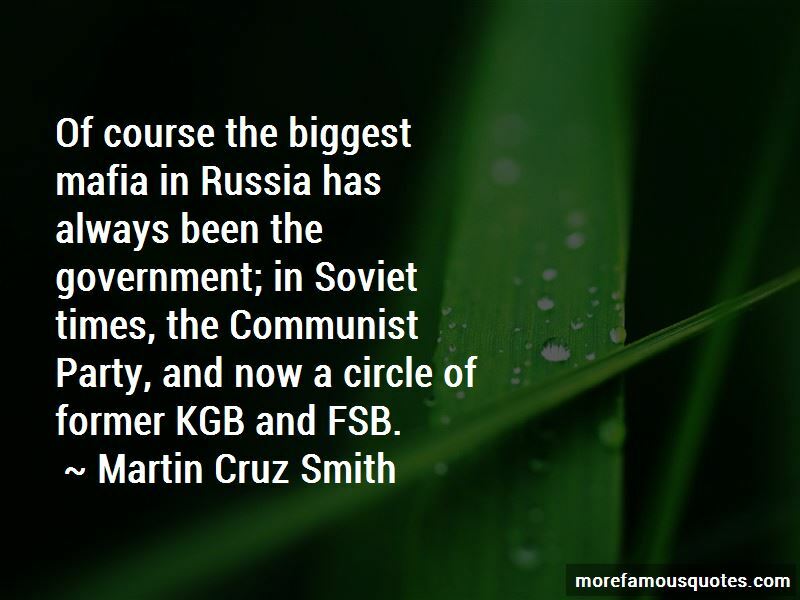 Click on image of Martin Cruz Smith quotes to view full size.